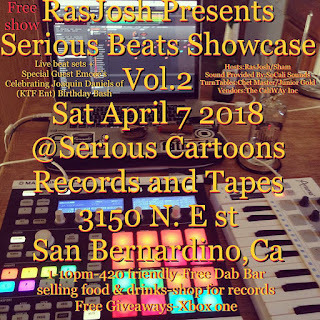 Heads up- Saturday April 7th RasJosh Beats will be throwing the second installment of the poppin' new beat showcase at Serious Cartoons Records and Tapes on E street in San Bernardino. 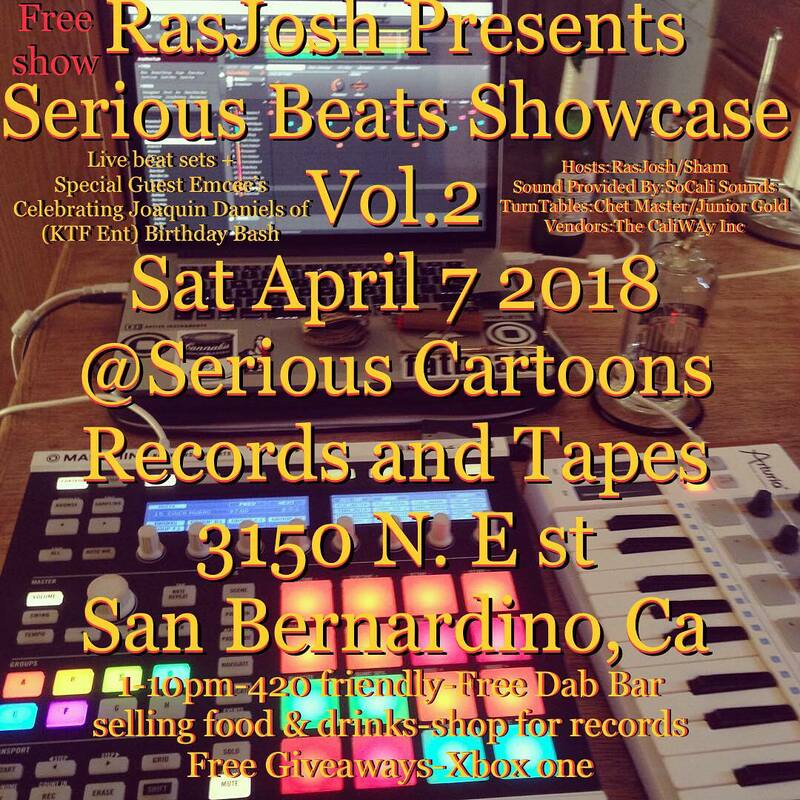 There will be barbecue, dabs, performances, vinyl and more so don't miss this! 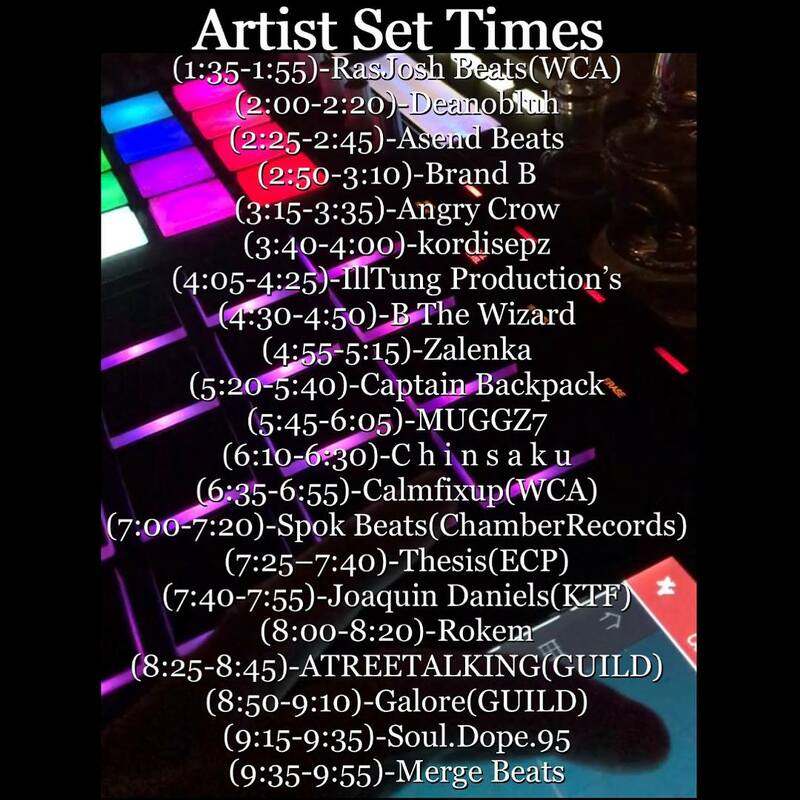 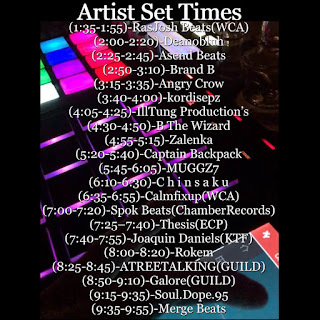 As you can see dozens of dope producers, beatmakers and performers will be doing their thang for your enjoyment, the fun starts early so come post up!